My YouTube Channel Has Been Re-Enabled! Finally! Thanks to the Big G tech support we were able to sort out the problem. Now I will be able to upload my videos to The Spoonful Of Russian channel again. So relieved. It's been sooooo long. I feel like I am a bit rusty. My last vid was uploaded 1 year ago. I am going to ask you, guys, for your suggestions as far as my next video. Go! Not sure what happened exactly, but I am unable to log in to my own YouTube account in order to upload new videos or manage my subscribers' comments. At the same time there is no problem logging in to Google, GooglePlus or Blogger. Hmmmmm. Thank you for being patient as I am looking into solutions. You can refresh them by watching my Most Common Russian Drinking Toasts/Phrases video. The toasts that follow largely depend on the occasion that brought the people together. At a birthday party, the first toast (with wishes of health, success and a long life) is usually to the birthday guy or lady. The second toast is to their parents as a sign of honor. At a wedding, the first toast is “To the health of the newlyweds.” After that, the guests shout "Горько!"(Gorko!) often and loudly, all through the banquet. “Gorko” literally means "bitter” in Russian, implying the bitterness the wine being drunk. By yelling that the wine is bitter, the guests are inviting the newlyweds to make it sweeter by giving each other a sweet long kiss. As the bride and groom kiss, the guests count the seconds: “Один! Два! Три! Четыре! Пять! ... One, two, three, four, five..." until the kiss is over, whereupon they raise their glasses in a toast. At a funeral banquet, the first part of the toast is usually an uplifting or touching story about the dearly departed; it is concluded with the words Пусть земля ему/ей будет пухом! Вечная память! (Let the ground in which he/she rests be like goose down. Eternal memory to (him/her). When people in Russia drink to the dead it is customary not to clink glasses. Without a doubt towards the middle of the party someone usually proposes a toast “За женщин”! “To beautiful ladies!” or “To the ladies present here!" 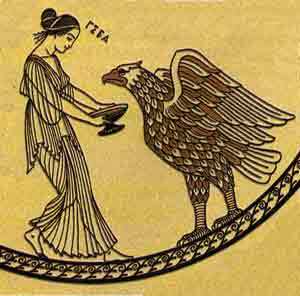 At this point someone else usually says that real men stand up when they drink a toast to beautiful ladies, and they drink to the bottom. All the gentlemen present promptly comply. The last toast, “На посошок!” / “Na pososhok", is usually pronounced when the guests are about to leave. In olden days, travelers used a walking stick, called posokh or, diminutively, pososhok in Russian, during long journeys. A toast to the walking stick, therefore, is meant to make sure that the return journey is safe. Today’s spoonful is going to consist of a useful Russian phrase and a poem in Russian. 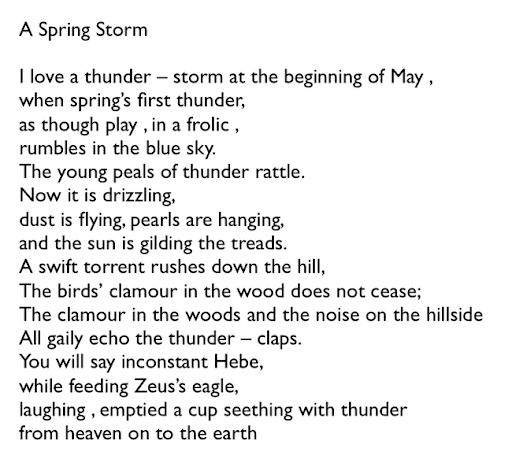 Don’t worry if you don’t understand the poem. The reason for reading out loud is so that you can get more familiar with the Russian sounds. As you’ve probably noticed I started this podcast with the expression Добрый день translated as ‘Good afternoon’. 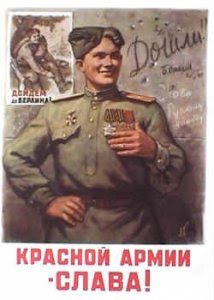 There is also Доброе утро (‘Good morning’) and Добрый вечер (‘Good evening’). So when is the appropriate time of the day to use these expressions? Most Russians use the following time frames for them. For example, use Доброе утро from 6am till noon. Use Добрый день from noon till 6pm...and Добрый вечер is used anytime past 6pm and before bedtime. Now here’s your chance to practice saying Доброе утро, Добрый день, and Добрый вечер in Russian. 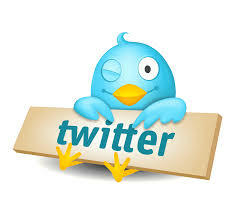 First I say the phrase, then you’ll hear a sound - that will be your prompt to repeat the phrase after me. Then I repeat the phrase one last time, so you can check your pronunciation. Давайте начнем. Let’s begin. Замечательно! Wonderful! And now for the poem. 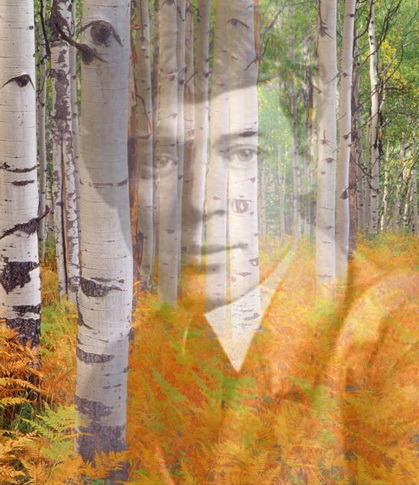 I will be reading one of the most popular poems written by Sergei Esenin in 1913. It’s called БЕРЕЗА (The Birch-Tree). It was part of my middle school program, and I can still recite it by memory. 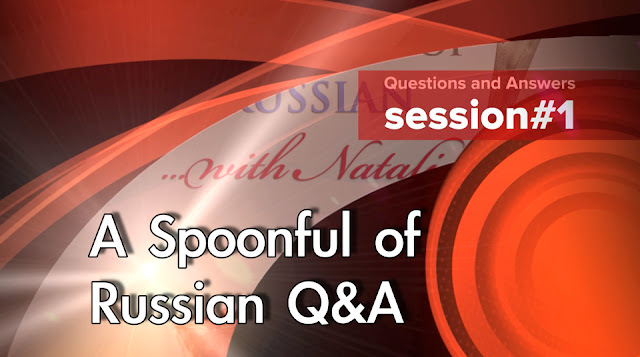 This is your spoonful of Russian for today. I encourage you, my Listener, to leave me a voicemail. It can be a question, a comment, a suggestion. Your feedback and ratings on iTunes means a lot to me. I read every single comment. It just makes my day. 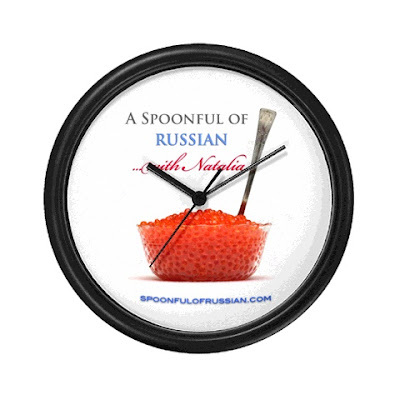 До свидания and stay hungry for the next Spoonful of Russian! Ever wanted to know how to call your family members in Russian? I don't mean nicknames:) I mean official titles. I have a book like that too. In Russian it was called "О чём думает моя голова". Translated into English "What's on My Mind". It's a collection of short stories about 2 elementary school girls, the best of friends. About their everyday adventures, how they made friends, how they took revenge on enemies, tried to avoid problems at school, how they pleaded with their parents to adopt a puppy, and more. Basically, I saw myself in one of those girls. The best part is that the narrator is one of the girls, and you can really hear a 3rd-grader talking. Kids come alive in the pages of the book. I am lucky enough to have the very same copy of my favorite book with me. Today I wanted to share the first chapter with you. If you are a beginner and cannot follow, don't despair. Simply hearing the Russian speech will aid you in your studies. I am reading at a normal speed. Thank you all who enjoys the content I produce and who is patiently waiting for updates. This Sunday (in 3 days!) my oldest daughter is getting married. As you can imagine things are pretty hectic now. But even at this time I'm getting fresh ideas for my next YouTube video / iTunes podcast. Again, спасибо. And... до скорой встречи! Little Fir Tree (В Лесу Родилась Ёлочка) Happy New 2014! Little Fir Tree (В Лесу Родилась Ёлочка). This is the most popular Russian New Year's song. Every Russian knows it. It's something that no winter holiday can do without. The song was born in 1903 and since then it brings joy and excitement to Russian kids just like that little fir tree from the song. it was straight and green. Sleep dear spruce, sleep tight! The angry wolf just trotted by. Snow scratches under a sleigh. it brought to the children. • There are a few of Japanese words in Russian, such as самурай, банзай, хокку, каратэ, цунами, etc. • Some Turkic words - башка, сундук, казна, утюг, чугун, шашлык, алыча, амбар, сарай, халат etc. In this video I mention just a few borrowed words. Knowing them will give you confidence to go on learning. A fun way to learn Russian is by learning the words with opposite meanings. Here are some antonyms for you. "Houston, we have a problem!" A couple of days ago I tied the podcast's feed to a different feed burner account, a dedicated gmail email for my podcast. Because I have changed the feed URL without taking steps to redirect the iTunes Store it's no longer possible to subscribe to the feed in iTunes, and the Store page is stuck with a cached copy of the last time it could read the old feed. I found out about the procedure involving adding a special tag to the old feed a little too late…. I really do not want to lose my dear old subscribers nor the iTunes Store reviews. I hope and pray the Apple iTunes support team could help me out and swap the feed URLs for me. 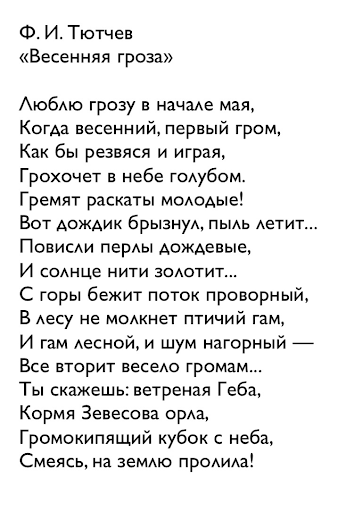 Final Part 3 of Крокодил (The Crocodile) by Korney Chukovsky. You can also leave a voicemail by dialing 209-980-RUSS (209-980-7877) and I will play your recording on the air and will try my best to answer. Subscribers spoke. Some of you mentioned you would enjoy listening to Russian spoken without thinking of grammar. I've been thinking of doing it for a while now. Auditory training is an integral part of any foreign language learning. Thus, I created a dedicated playlist within my YouTube channel. I hope to fill it with masterful creations of Russian poets. Question: would any of the parents of young kids out there be interested in Russian fairy tale/poetry/short stories recorded by 'yours truly'? Finally, I am not ashamed of the audio quality. Just received my RODE Podcaster mic back from repair! 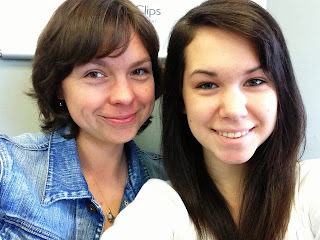 Just to change the pace a little, my daughter Emily and I are trying our hand at covering one of the most popular contemporary Russian songs originally performed by Alla Pugacheva and her daughter Kristina. Those two don't need introduction. 1. Greeting by a subscriber (Thank you, Jeanette, and Happy Birthday!) - Спасибо! С днём рождения! p.s. my apologies again for the sub-par sound. IPad's mic produces uneven sound even with a slight deviation from it. Can't wait till I get a Mac! To all my Russian friends: "С Днём Победы!" Russian accented vowels sound much richer and fuller than their English equivalents. That is because Russian is spoken much more vigorously than is English - there is greater muscular tension throughout the organs used in speech production. I thought I would start talking about the Russian sound system. Since I want to be true to the podcast's format and keep it short'n'sweet and to the point ... It will take us several lessons. Some of the items used for pronunciation practice will be isolated syllables or words whose meaning is of no immediate relevance, while others will be complete sentences that you will be able to add to your Russian phrase book and practice it as often as you'd like. You should not concern yourself with the grammatical forms of the sentences used at this point. You should simply learn them in the form given to you, striving to imitate your teacher as closely as possible. You must always keep in mind the importance of the spoken models presented. While descriptions, transcriptions, and diagrams maybe of some help, you should rely mainly on the spoken model in your attempts to approximate the sound patterns in Russian. Remember always that at the early stage of instruction it is the sounds of the language that are our primary concern, not the written forms, which are a secondary and imperfect system of representing speech. While Russian spelling is more regular than that of English, there are places where it does not represent the sound system accurately. Strive always for good pronunciation, and don't let the written forms mislead you! Next time we are going to talk about the Russian Accented Vowels, but for now I will leave you with a few phrases you should just listen to without trying to repeat. Listen to them as many times as you'd like to. Song in Russian - (Дорогой Длинною, performed by Nani Bregvadze). And in the distance lights flickered..
That has so tormented me by night. [But] you've long since passed by! Dushu by razveyat' ot toski! Ponaprasnu noch' za noch'yu zhgli. I love hearing my subscribers speak Russian. I encourage all who are listening right now to record yourself saying Привет, Наталия or Здравствуйте, Наталия. I would love to open up my next podcast with your greeting! "I love my wife" in Russian is "Я люблю свою жену"
Follow me on Twitter @russianspoonful now and get your Russian language related questions answered. Ever wonder how to pronounce words in Russian? Just ask me and I'll upload an audio file just for you. I just created my YouTube channel, but I have many ideas how to make it awesome! Along with this I am still offering translation services (letters, docs, etc). Please, email me for more info. As you know, a noun is a word that names a person, place, thing, event or idea. All Russian nouns are divided into 3 genders: masculine, feminine and neuter. It's important to know the gender of a noun, since it needs to agree with other parts of speech. Let me give you an example: красивая девушка (a pretty girl) is correct, while красивый девушка is not. 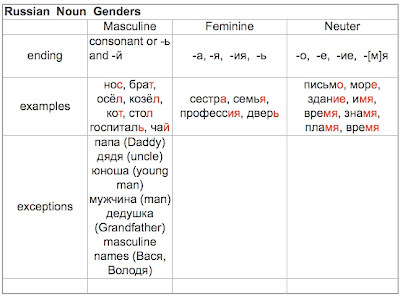 Ending -ый of the adjective красивый denotes masculine gender. Learning gender rules is not an easy process. Many times you will be able to determine the gender of a noun simply by using your biology knowledge. Ex. : мальчик (masculine), девочка (feminine), etc. But most of the time noun gender is random and unchangeable. Gender rules MUST be memorized. However, the secret is simple: the ending of a noun determines its gender. After learning a few rules you'll be able to instantly recognize whether nouns are masculine, feminine or neuter. *A handful of Russian nouns appear to be feminine by their endings, are in fact masculine. Commit them to memory! It's been a while since I added a Russian song to my podcast. So many of you requested this feature back! I promise to add one when I get a chance to obtain license-free Russian music. 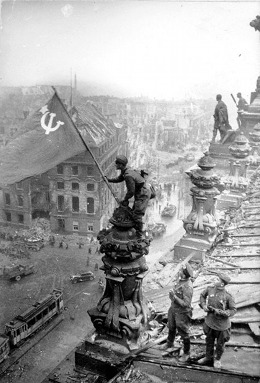 May 9th is the Victory Day in Russia. (День Победы). To mark this day I am including a well-known song from the Soviet era called «В землянке» - "In the Dugout" performed by Михаил Гулько. Here are the lyrics of the song and its translation. For the fire of our love won't go out. До свидания и всего хорошего, друзья!